You are here: Home / LATINO EMPOWERMENT / DOES HISPANIC EDUCATION HAVE A STRONG IMPACT ON ECONOMIC DEVELOPMENT? DOES HISPANIC EDUCATION HAVE A STRONG IMPACT ON ECONOMIC DEVELOPMENT? The level of Hispanic education, skills and capabilities will have a strong impact on the economic development and competitiveness of the U.S. The level of education among the Hispanic community is not only a social issue but is also a vital economic concern. There are currently 50 million Hispanics living in the United States, a figure that represents 16 percent of the country’s total population. 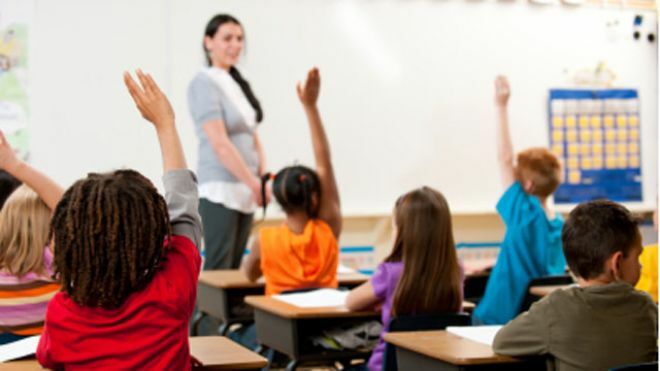 Hispanic children between five and 17 years of age often face educational challenges, usually scoring lower than the average student in annual reading and mathematics standardized tests. In this context, there are three main aspects to consider in the debate on educational public policy for Hispanics: the increase in their school enrollment rates in the last decade, their low level of educational attainment and the educational gap between whites and Hispanics in the U.S. Compared to other ethnic groups in the country, Hispanics lend a higher degree of importance to education, according to a 2009 Pew Research Center study. This fact, in addition to the effect of public policies and the increased influx of immigrants in the country, contributes to the growing enrollment rates among the Hispanic community. According to the White House Initiative on Educational Excellence for Hispanic Americans, the average enrollment of K-12 Hispanic students is higher than the average for the general population. 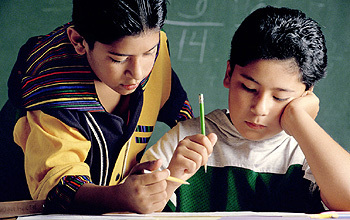 However, reports have shown that the schools that Hispanics are enrolled in are typically lower quality school systems. In addition, the dropout rate in high school is 17.6 percent among Hispanics, as compared to 5.2 percent among the white population and 8.1 percent among the entire U.S. population, according to the National Center for Education Statistics. Quality continues to be an elusive goal. Although there is a reduction in the gap between the white population and Hispanics in the National Assessment of Educational Progress (NAEP) mathematics average scores from 1973 to 2008, this change is not sufficient evidence to show a decrease in the overall educational gap of Hispanics. Regarding SAT scores, Hispanics are scoring lower in mathematics and critical reading than the average U.S. student. (i) Factors that influence educational achievement. According to the U.S. Department of Education, there are four factors that affect student achievement: Having a mother who has less than a high school education, being a member of a family on welfare or receiving food stamps, living in a single-parent family, and having parents whose primary language is one other than English. By the end of the 20th century, “about seven out of 10 entering kindergarten from Hispanic or Black families have one or more of these risk factors, compared to about three out of 10 of those from white families. (ii) Low quality of the schools that they attend. Hispanics are more likely to attend minority-heavy public schools that are often low performing. (iii) Constraints to parents when it comes to the possibility of choosing their children’s schools. The White House Initiative for Hispanics highlights how the challenge of the low educational achievement that Hispanics suffer from represents a problem not only for the community, but also for the entire country, given the importance of this minority within American society. Addressing the challenges that Hispanics face in the U.S. has become quite serious and their growing importance in number and participation in social, economic and political life gives greater credence to their growing demands to live in a more fair and prosperous society. A social issue (also called a social ill or a social problem) is an issue that relates to society’s perception of people’s personal lives. Different societies have different perceptions and what may be normal behavior in one society may be a significant social issue in another society. Social issues are distinguished from economic issues.